We take pride in offering a truly unique daycare program in the Northshore area. Our pet guests enjoy a fun, friendly and safe environment every day. This program allows your dog to socialize and exercise all under the supervision of our highly trained staff. Pet guests enjoy separate play areas, with activities directed by our Pet Care Technicians. Dogs are selected to daycare groups based on their size, temperament and play style to ensure the best experience for all our pet guests. We are an indoor and outdoor doggie daycare. Our daycare dogs have access to our enclosed outdoor spaces all year round. 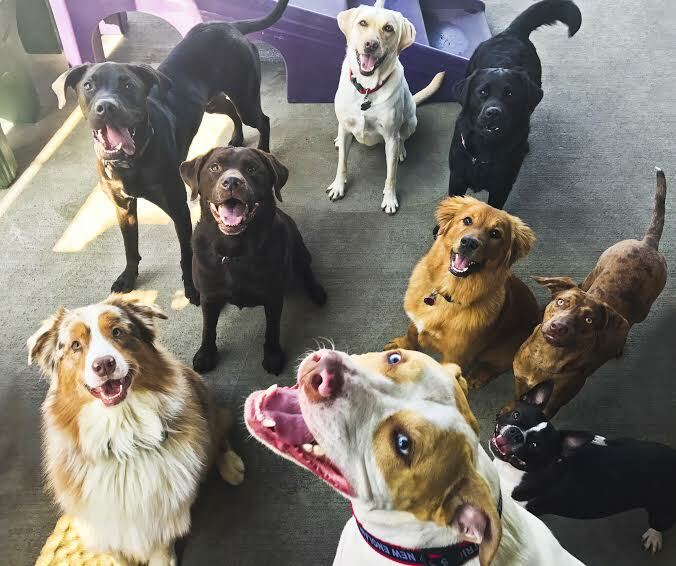 *Every dog in daycare is required to have identification on their collar (either an engraved tag or embroidered collar) within one week of attending daycare. Our latest pickup time for daycare is 7pm Monday-Friday and 6pm on Saturdays and Sundays. Any unscheduled pick-ups after these times will incur a $25 fee every 15 minutes until 10pm. Late picks-up from daycare and boarding must be scheduled and paid for at least one hour before closing. The price for late pick-ups is $15 per hour up until 10pm. After that the charge for an overnight stay in one of our Traditional accommodations, along with house food (if needed) will be applied.